Get grilling! Everywhere I turn - magazine covers, the hardware store, commercials - everything is about grilling. I saw a beautiful shot of a grilled avocado in an old Gourmet magazine and I got inspiration to grill guacamole. And not just the avocado - but the whole enchilada! If you have the grill on, why not? 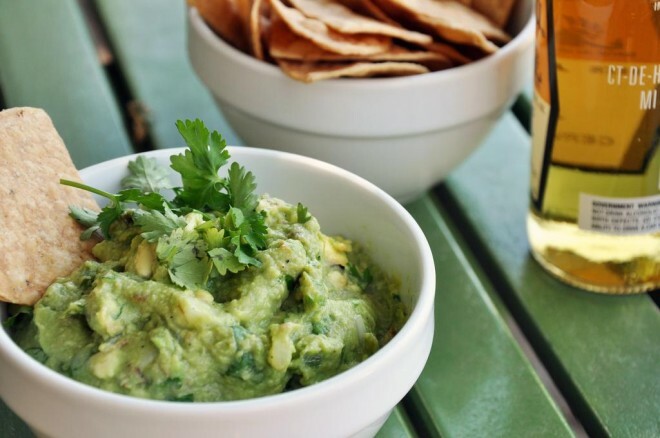 Just throw all your guacamole ingredients on there and try a new twist this summer. Heat grill or grill pan at least 7-10 minutes until extremely hot. 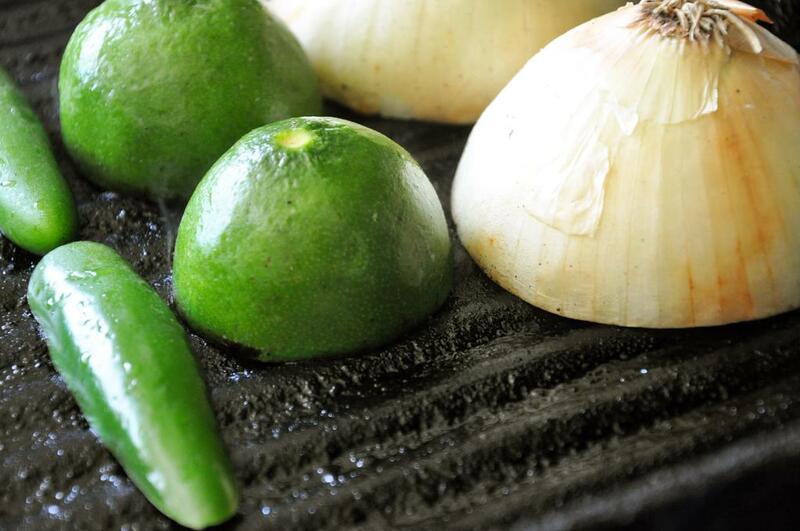 Quickly brush with EVOO and place lime, onion and chile, cut sides down, on the surface. Do not disturb. 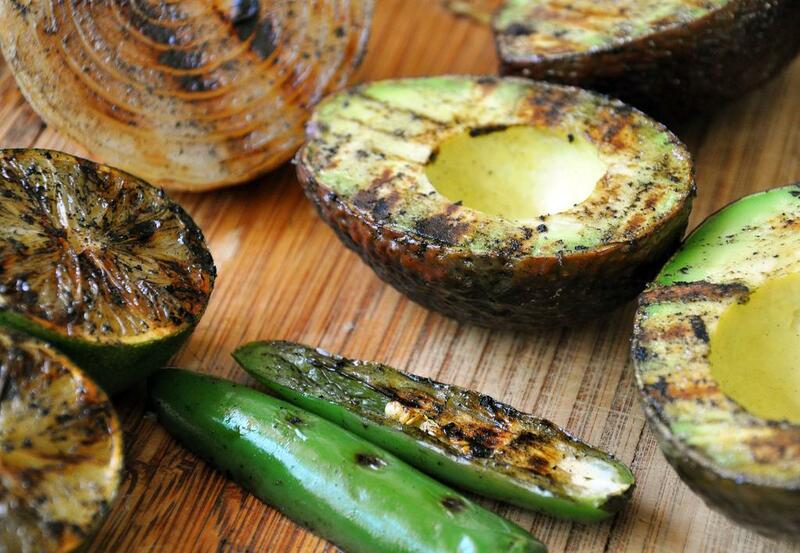 Grill lime 2 minutes; onion 10 minutes; and chile 5 minutes. Remove and let cool. Grill avocados, cut side down, last to retain their bright green color, about 5 minutes total. Remove and let cool. When all ingredients have come to room temperature, squeeze lime juice into a medium bowl. 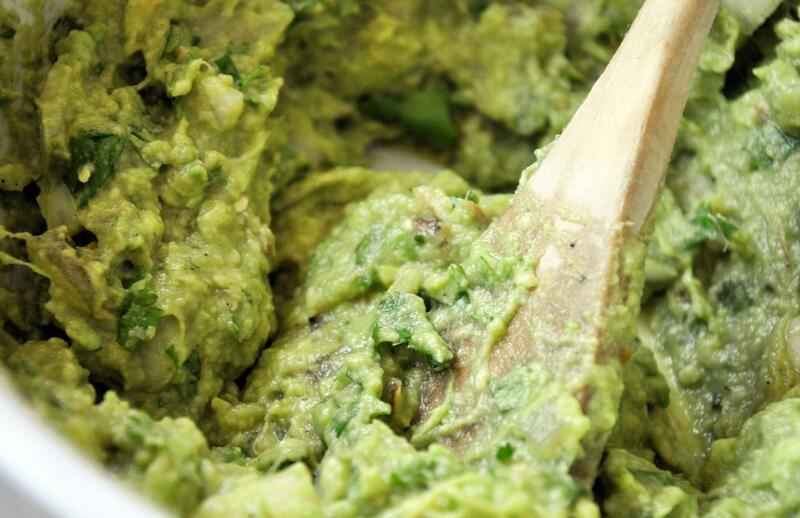 Quickly scoop out avocado and mash gently with a potato masher, but leave chunky (another technique to deter the avocados from browning). Chop chile, onion and cilantro and add with smoked salt. Mix until incorporate and serve with chips.